The season of shopping is among us! Black Friday is this week and the early deals are going on nearly everywhere. This week always gets me excited, because I know it is nearly time for Christmas! While I have always loved shopping and the deals during this time of year, this year I am going to do my gift giving a bit differently. Every year I buy things and most of which ends up being junk or cheap (guess it was on super sale for a reason). Therefore, I want to try and make as many gifts for my friends and family as I can. Not only do I think this approach is more thoughtful it is also more creative and cost effective. 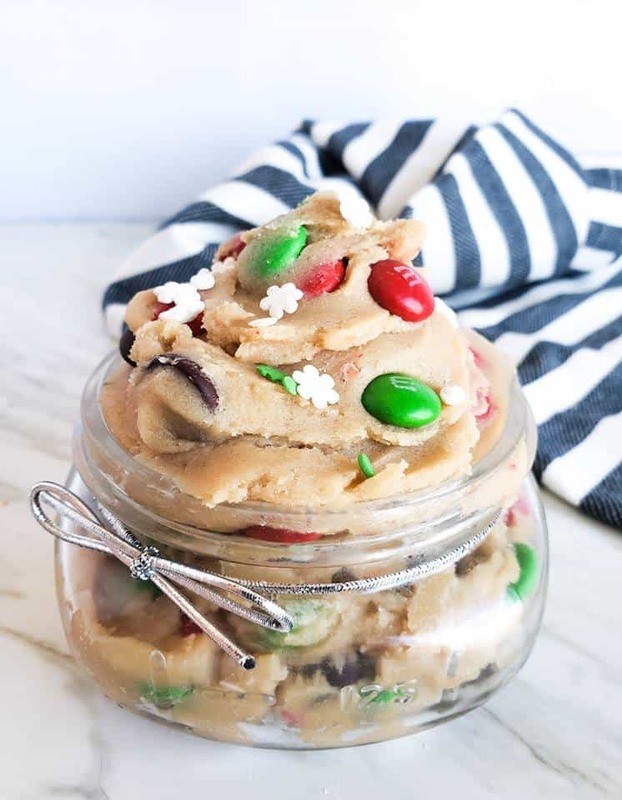 Immediately I thought of food related gifts and who wouldn’t love the best edible cookie dough as a gift this year? !